It’s difficult to confirm the authenticity of these images but they look fake to me. The photos are published by the hosts of the Maxim Radio talk show on Sirius and XM satellite radio. It isn’t clear whether or not the device was actually in the hands of the hosts of the show but there are enough “Covino & Rich” signs in the images to make me believe that it was. And yet, the way they quote the source for the device and thank him makes you believe that these images were just sent in. Sounds a little publicity-stunt-ish to me. I acquired this from a guy that I buy parts phones and iPods from. I believe he’s a recycler in ***********, so what most likely happened is that Apple threw this away and he some how got it and sold it for parts. It’s a little strange to think that Apple just threw away a prototype for the upcoming iPod touch without assuring that it wouldn’t leak. I would tend to believe they wouldn’t just throw something like this away until after the finished product is released. First off it isn’t a phone and secondly, how would this person know that it was a durability test unit if he acquired it from a recycler? Although they could be real, the whole story seems too fishy. The Covino & Rich Show » Blog Archive » 8/14 – The Covino and Rich Show, starring Little Stevie C!. Update 8/14/09: An Engadget commenter has pointed out that these images look really fake when you zoom in using Photoshop. There is a distinct square around the lens, so this was probably just a publicity stunt. 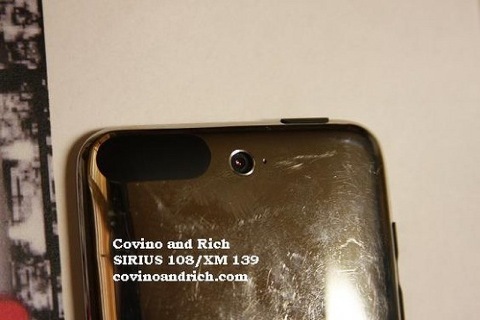 Update 8/14/09: Although these images have been deemed fake, Covino & Rich, in hopes of convincing us, recently uploaded a video of the device to their Flickr account. The images do seem fake but this video along with some other images uploaded to the Flickr account are making me question my earlier accusations. It is still too early to tell and it may not be until the iPod event next month that we know for sure whether this was fake or not. Update 8/27/09: It’s been about a week and a half since they first posted these images. Apple still hasn’t sent a cease and desist, so unless they either don’t know that this exists or have decided not to have them taken down (which is uncharacteristic of Apple) they are fake.